Do you know how much salt you take in each day? If you eat prepared and processed foods, you may be eating more sodium than you think. Even though you may be taking steps to limit the amount of salt you add to your food, you still have to be mindful of the sodium that is already in the foods you eat. That's why the US Food and Drug Administration (FDA) is taking steps to lower the amount of sodium added to the foods you buy. In fact, the FDA has released guidance for both manufacturers and restaurants on reducing the amount of sodium they add. 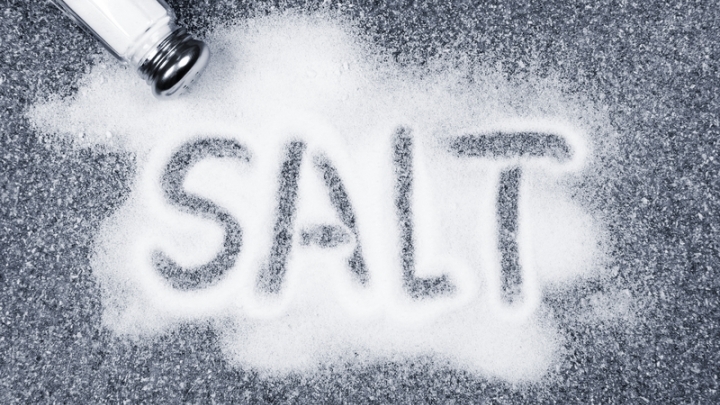 Read on for more information about sodium intake and its effects on your health. The sodium intake goal for adults and older teens is 2,300 milligrams (mg) per day. Today, the average American takes in a whopping 3,400 mg of sodium per day. That's almost 50 percent more than what is generally recommended. And those who have been diagnosed with high blood pressure (hypertension) or who have prehypertension may have even lower sodium intake goals. 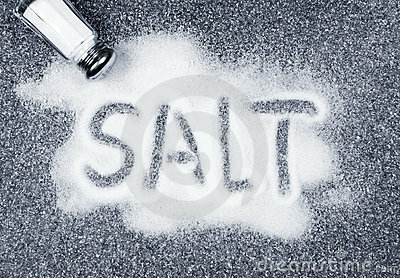 Too much sodium can lead to high blood pressure, which can increase the risk for heart disease and stroke. High blood pressure affects an estimated 1 in 3 Americans, according to the Centers for Disease Control and Prevention (CDC). In African-Americans, it's almost 1 in 2. Ninety percent of Americans consume more sodium than recommended, according to the CDC. And that's not just limited to adults — children and adolescents are consuming too much sodium, too, the CDC noted. What Kinds of Foods Are High in Sodium? Many prepared and processed foods contain high amounts of sodium. These types of foods include but are not limited to deli meats, sandwiches (hamburgers and hot dogs), snacks (popcorn, chips, pretzels and crackers), pizza, pasta dishes, salad dressings, cheeses and soups. One thing to keep in mind is this: Just because you don't taste the salt doesn't mean the food is not high in sodium. Even sweet desserts or sugary cereals can contain lots of sodium. And you have to keep your daily totals in mind — even if a single food doesn't contain too much sodium, eating that food several times a day can put you at risk of getting too much salt. What Steps Can I Take to Lower My Sodium Consumption? 1. Look at the nutrition label. The easy way to calculate how much sodium you should consume in one day is to make sure you do not consume more than 100 percent of the recommended daily value. 2. Prepare your own food when possible. 3. Buy fresh foods. Buy fresh meat, seafood and poultry instead of processed foods. 4. Rinse your canned foods, such as beans and tuna. This can remove some of the sodium. 5. Choose low- or no-salt snacks. 6. Limit your use of packaged sauces and mixes, which are often found in noodles and ready-made pasta. 7. Flavor your foods with no-salt herbs and spices instead of salt. If you are taking certain medications to treat high blood pressure, salt substitutes are NOT recommended. If you have any questions about what kind of seasoning you can use, be sure to ask your doctor. As you reduce the amount of sodium you consume, it's likely that your taste for sodium will slowly decrease. Before you know it, you probably won't even miss it. Speak with your doctor about your nutrition goals and reducing your risk for high blood pressure.